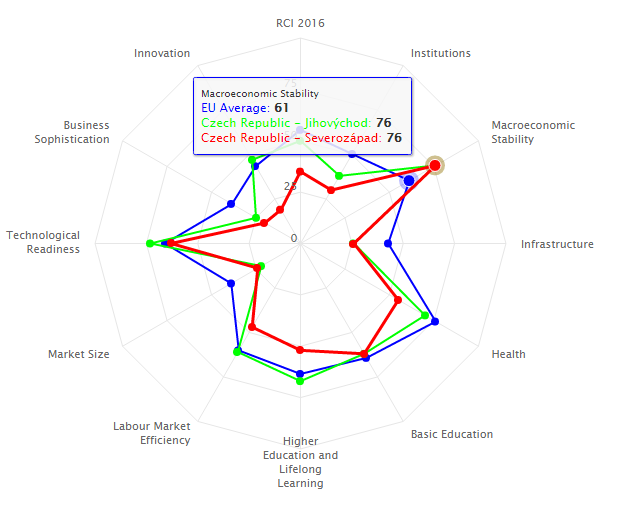 Overall, the 2016 results of the Regional Competitiveness Index published by the European Commission are in line with those for 2013. 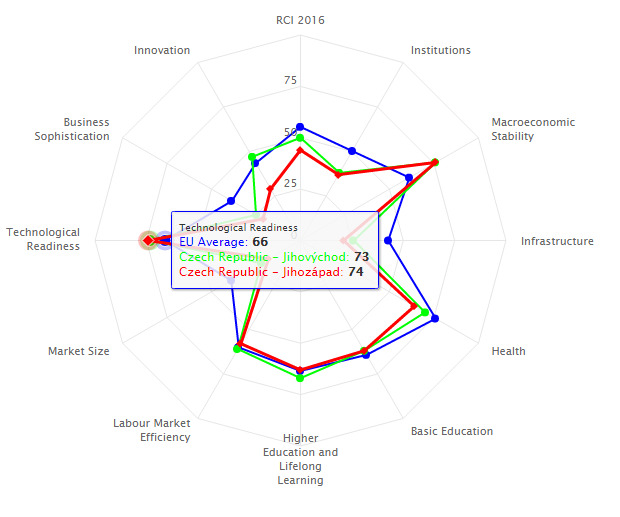 Once again, a polycentric pattern can be observed with strong capital and metropolitan areas as the main drivers of competitiveness. Spill over effects can be seen in most of north-western Europe, but this is much less obvious in the EU regions to the east and south. High levels of within-country variation are observed in many cases which are caused by a clearly outperforming capital region compared to the other regions in the country. 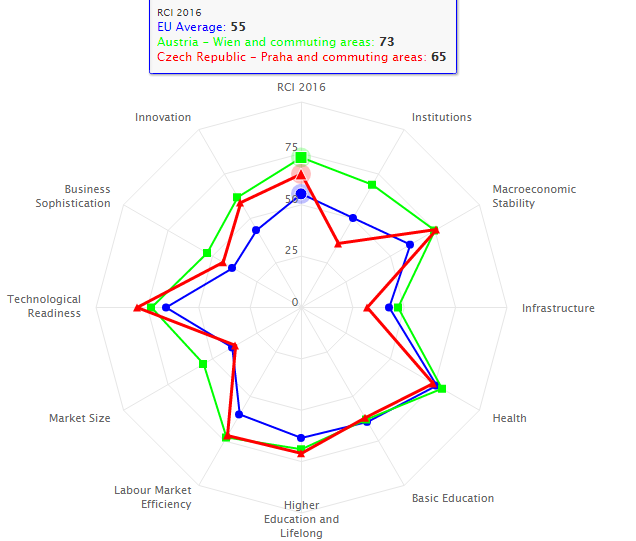 Compared to the two previous editions, published in 2010 and 2013, Malta and several regions in France, Germany, Sweden and the UK have improved their score, while the scores declined in Cyprus and regions in Greece, Ireland and more recently in the Netherlands. 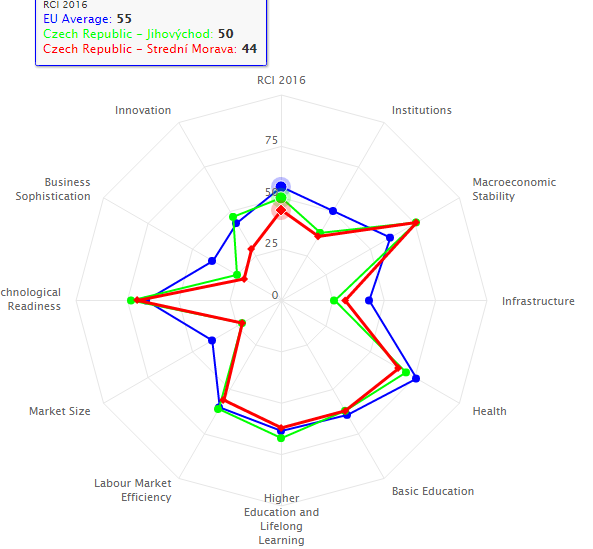 In eastern EU regions competitiveness has mostly remained stable. In more than 70 % of the cases, the competitiveness development stage remains unchanged from 2013, whilst about 8 % of the regions improved their development stage (from one class to the one immediately above it). These regions are in Austria, the Czech Republic, Germany, Poland, Romania and Slovakia. On the other hand, 47 regions (about 18 %) dropped to a lower stage of development, including Cyprus and some regions in Greece, Spain, Ireland, Italy, the Netherlands, Portugal and Sweden, the European Commission says. 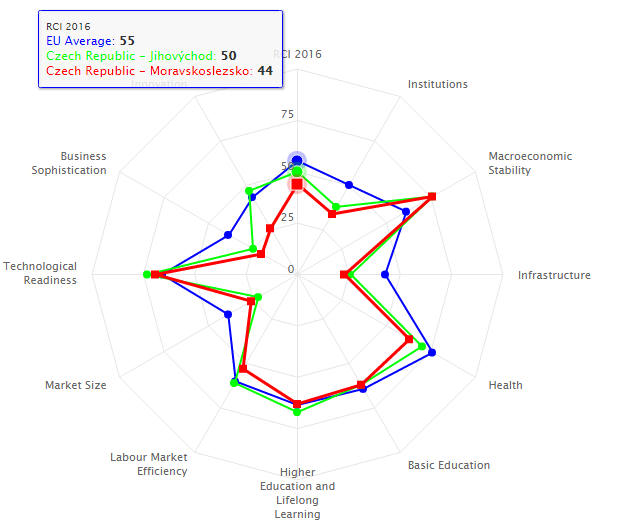 As for the Czech Republic, all Czech regions seem to show high Technological Readiness and high macroeconomic stability compared with the EU average. 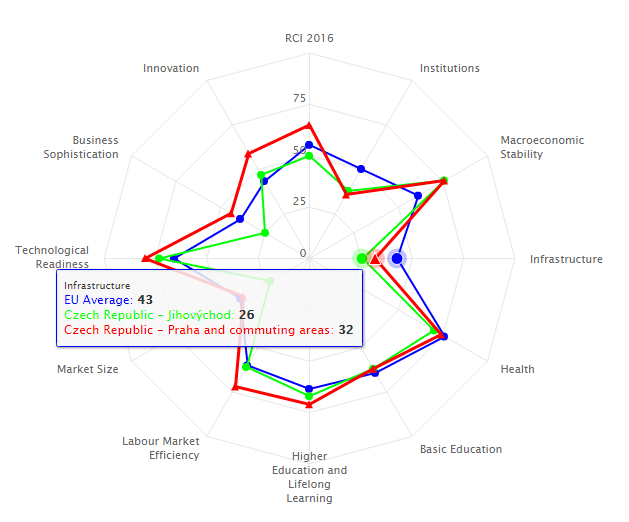 The regions scored worse than the EU average in categories Infrastructure, Innovation (except Prague and Jihovychod regions), Business Sophistication (except Prague) and Institutions. 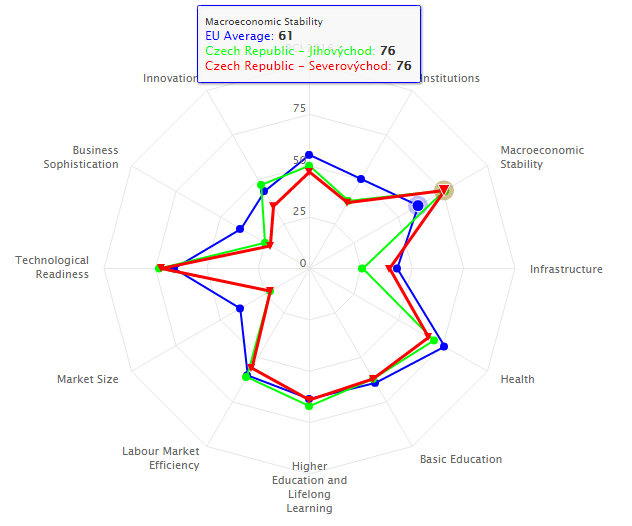 When compared with Vienna, Prague scores better in Technological Readiness and gets similar scores for Macroeconomic Stability, Health, Higher Education and Lifelong Learning, Labour Market Efficiency and Innovation.